When someone makes a smartphone or tablet app, there is no doubt that they deserve the chance to make money from it. If that app becomes wildly popular, even a $0.99 per person fee can rake in a decent amount of cash. However, monetizing can be tricky. Do it the wrong way and you can turn off your audience. This is especially true if your app is competing with other apps that are offered free of charge. What follows are three apps. Two of these, I believe, missed their monetization mark and the third hit it square on. This was the long awaited sequel to the wildly popular Where’s My Water. The original Where’s My Water was released under a simple “freemium” model. There was a free version and a paid version. The free version got you a sampling of the levels. There were plenty in there to play but also left you wanting more and itching to fork over $0.99 for the paid version with more levels. The new version, however, wasn’t released quite in this manner. Instead, after you completed the “Sewer” and “Soap Factory” levels you are presented with a gate. Now players, by this point, would have encountered similar gates before. Those gates unlocked when the player had collected enough “rubber ducks.” This gate, however, needed three keys. 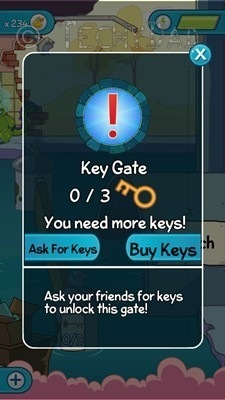 There are two ways to collect keys. The first is to link the game with your Facebook account, bug your friends, and hope they they “send” you keys. The second is to purchase some keys for $0.99. Normally, I wouldn’t begrudge them this. It definitely is easier to develop one version instead of maintaining two different versions. However, their Google Play page indicates that there are “100+ levels and challenges” and that “the puzzles are all free.” It also heavily implies that the Beach level comes free along with the Sewer and Soap Factory levels. When you combine all levels and challenges in the free Sewer and Soap Factory levels, though, you only get 71. To unlock the rest (and get to 100+), you need to either spam your Facebook friends (or, if you are like me and are NOT on Facebook, sign up for Facebook and get friends to spam) or pay money. This doesn’t seem – to me – to be free. I would recommend that they fix this with some verbiage changes on their Google Play (and any other app store) page. 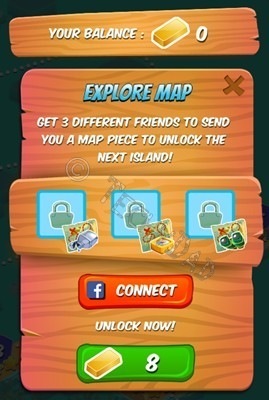 Change “100+” to “70+ free levels and challenges,” Change “the puzzles are all free” to “the Sewer and Soap Factory levels are all free.” Note that you can unlock the Beach level by either paying or with your Facebook friends’ help. I might even recommend allowing users another way into this level (such as getting all ducks in all other levels or playing for a certain amount of time), but I understand that this would cut into their payments. This one isn’t as popular as Where’s My Water, but it published by Rovio – makers of Angry Birds. Therefore, these developers are obviously no strangers to popular apps. In Juice Cubes, you are presented with a screen of cube-shaped fruit. You trace paths between matching fruit which removes them from the board and allows more fruit to move into the now-unoccupied spaces. The level ends when either an objective has been reached (usually clearing certain objects or reaching a certain score) or when the number of moves you’ve been given runs out. Juice Cubes fails, however, because right after level 20 you reach a roadblock. You are required to bug your Facebook friends for three map pieces or pay 8 “gold bars.” Gold bars are usually purchased but thankfully the app gives you some gold bars for free to use. So far, so good, right? After level 35 – a mere 15 levels more – you reach another roadblock. Again you must bug your Facebook friends or pay 8 bars of gold. Unfortunately, before the first roadblock, I had used some gold trying out one of the “special powers.” Now I was left without any gold and – given my not-on-Facebook status – unable to continue. I fell short of the 165+ levels by 130 or so levels. Even had I saved my gold, how many more levels would I have obtained with it? Another 15? 20? That game-given gold wouldn’t have brought me close to the promised number of levels. Far from the “completely free to play” with some “in-game items” to be purchased, Juice Cubes actually REQUIRES that you pay at least $1.99 for 15 bars of gold. In fact, if that first gate is any indication (and assuming the player didn’t waste any gold on power ups), you would need 24 additional gold bars to be able to play all of the levels. In other words, to get your 165+ levels, you would need to pay $3.98. Not a lot, but much more than the “free” that was advertised. Just like with Where’s My Water 2, I would recommend changing the language on the Juice Cubes app page. Make sure that users know that they would be required to pay to get all of the 165 levels. I would also recommend giving users another method for earning gold. Even if it is something they need to work at. For example, give the user a gold bar for every day in a row they play Juice Cubes – over one day, of course. This would keep making the user come back to your app. NOTE: After writing this, I noticed there was an update to the Juice Cubes app. Upon installing this update, I was given the ability to “search” for map pieces. Each search takes 8 hours meaning that, in around 24 hours’ time, you can proceed on with the game. I don’t, at this time, know if every search is successful or not, but my first one was. This is a definite improvement over the Pay Or Bug Your Friends model and I thank the developer, though I still think some verbiage updates might be needed. I wrote about My Muppets Show before. In short: You get Muppets on a series of digital stages, collect money as they perform, and buy items for the stage or food to level them up. This is where My Muppets Show gets it right. There are two forms of currency: coins and diamonds. Coins are earned from the Muppets as they perform. Diamonds are earned either (in small amounts) when hit certain achievements or if you purchase them with real money. Obtaining Muppets to perform either means paying a high price in diamonds or using a robot who doesn’t always get your requests right. This means you can try a dozen times to get Kermit onto your stage or you could pay for a few hundred diamonds to speed the process along. The same is true of the normal currency and food. Saving for some big in-game purchase? You can wait for the Muppets to earn you that much or you can use real money to buy enough in-game money for your purchase. Trying to level your Muppets up? You can wait to earn enough currency to buy enough food (and wait for that to get made) to level up your Muppets, or you can just use real-money to buy all the food your Muppets need. The game is completely playable without paying a dime and yet it is much easier to play if you are willing to open your real-world wallet. By all rights, I should have gotten tired of this game by now. I’ve obtained all of the Muppets characters, stages, and items. I’ve reached the highest player level there is at the moment. About the only thing I have left to do is level my Muppets up to their highest levels. This is a simple, but time consuming, matter of “harvesting” money from them (which they earn automatically from performing), using that money to buy food, and feeding my Muppets until they level up until they can’t level up anymore. Already, about a third of my Muppets are fully leveled. The monotony of harvest, buy food, feed Muppet, repeat should have gotten to me. But it hasn’t. Not yet. While I admit I haven’t paid anything for it, that’s more a function of the state of my bank account than the app’s mechanics. Had I the real world funds to spend, I would have purchased a few diamonds or food items here and there to help speed me along the way. (Especially when limited-time-only characters proved difficult to procure via the free methods.) I’ve been willing to stick with this game while other games have dropped by the wayside. If I had any complaints about My Muppet Show’s model, it would only be that the real-world prices of the diamonds/food/currency are too high. 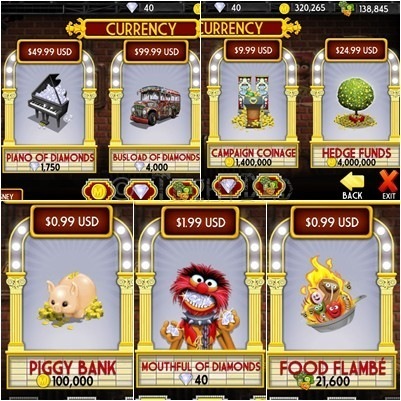 $1.99 only buys you 40 diamonds – enough for some of the smaller items but nowhere near enough for the bigger Muppets. You would need to spend over $10 to get enough diamonds for Kermit. Similar pricing issues plague the currency and food sections. Then again, I suppose they wouldn’t make much money if they offered you a huge amount of diamonds for $1. And at least the My Muppets Show Google Play page doesn’t have any misleading text. Beware: App developers. Players are a finicky lot. There are tons of smartphone/tablet games not to mention lots of other content competing for our attention. If you make misleading claims hoping to hook us on your app and then pry open our wallet, you’re more likely to find us hitting uninstall and heading over to someone who was at least up front about their app’s requirements. 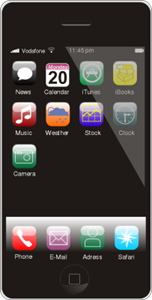 NOTE: The “smartphone” icon above is by zorro and is available from OpenClipArt.org. Hi, I need one more map piece to move on from level 35. It tells me I can “search” for it, but where?? I don’t get it. The map doesn’t zoom in all that much to really look for anything. Very frustrating because I love the game. All you need to do is click on the Search button. The “searching” is really just an 8 hour pause in your game play. When the time is up, the “search” is over and the results will be revealed in the app. Either you’ll find a map piece or something else. In the case of the latter, you’ll need to begin another search until you uncover a map piece. Instead of waiting for the 8 hours just change the date to a future date and you will get the lives or the search time will be over. Open up juice cubes then change your time back. I am on level 186 without ever paying for gold.